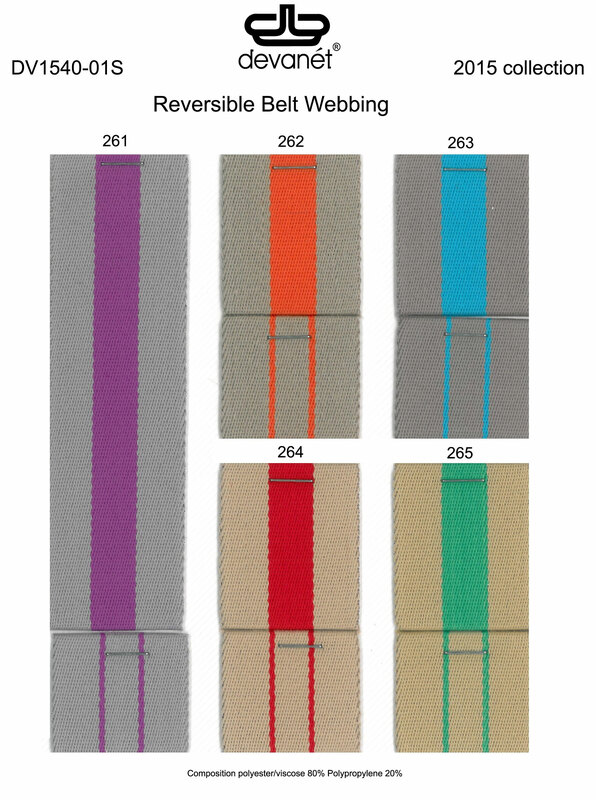 Devanét® offer customers, bespoke solutions for web belts and web belt buckles in a wide range of polyester webbing both rigid and elasticated. 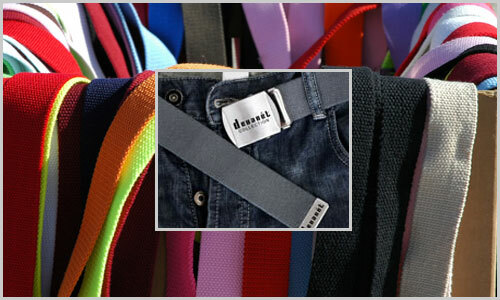 Devanét® supply belt webbing from 25 mm wide to 50 mm wide in rolls. 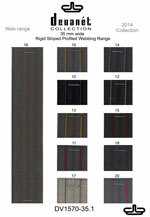 Special widths can be made to order. 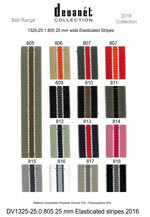 The webbing we supply is much thicker than traditional polypropylene webbing and is designed for military belts, workwear belts, casual belts, golf belts and combination belts where leather tab ends and webbing combine to make up a belt. 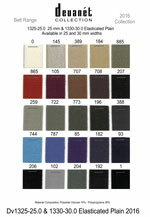 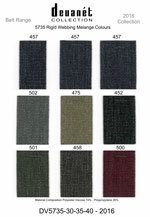 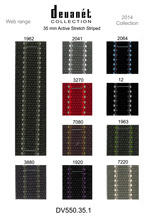 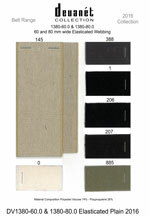 Each year collections for standard stock are changed to keep up with colour trends, but all the variables are still available, listed below are shade cards of some of the selection with colours, these are only a small part of the total range. 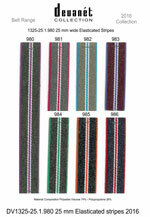 The product coding is defined as a style code followed by the width of webbing and then a 1 for stripes and 0 for plain, special codes are used for printed webbing. 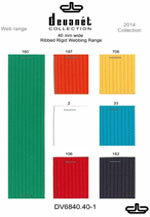 Unless otherwise specified in a quotation all rolls are 50 metres long. 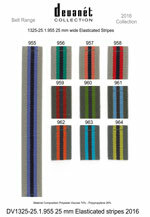 We will produce 25 belts from any stock line we have, bespoke solutions for branded or printed webbing are made to order, the MOQ will vary upon the requirement for you. 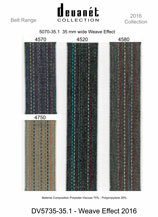 Devanét® can supply to order other colours in line with the yarn shades, you can view below, these are subject to minimum runs, unless it is in stock. 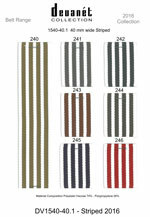 Stripes and mixes of colour bands can be woven for you across the webbing range of widths subject to the yarn shades available. 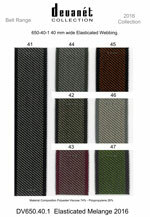 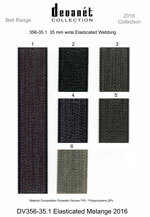 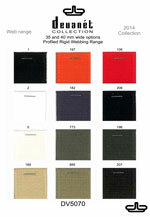 Special woven webbing and heat treated is produced so that it is suitable for printing using sublimation techniques at high temperatures and is available in several forms. 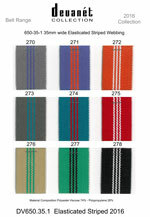 The back of the webbing is supplied black as standard, but other colours can be woven or printed and Pantone matching is possible. 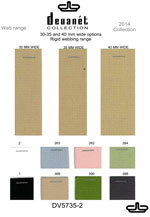 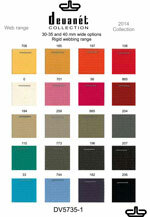 The top part of the webbing is supplied white so that it can be printed in full colour. 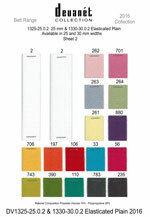 If both sides are to be printed, this is possible as the substrate si white on both sides. 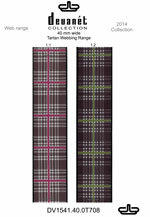 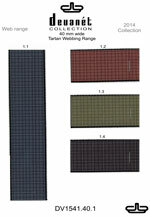 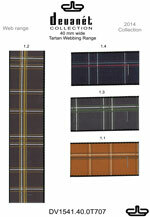 All the sublimation webbings are designed for printing either single sided or doubled sided. 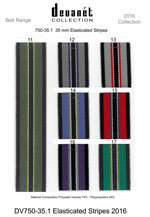 If you would like to have your webbing printed or just supplied blank, please specify width required and number of metres. 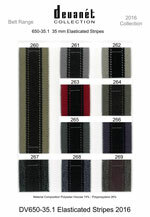 Devanét® will design your logo or colours in a range of webbing that can be printed for you, we can print in full colour and Pantone match colours to order, special logo designs on a step and repeat basis and stripes can be added and supplied as belts or continuous rolls. 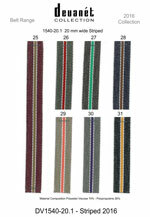 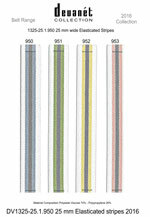 Specially designed stripes, with varied colour combination are possible with our webbing range. 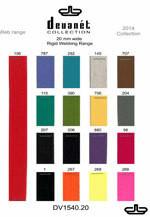 economical runs are accomplished by sticking to the standard yarn colours, outside of these colours the quantity to produce an exact dye matched webbing requires significant volumes. 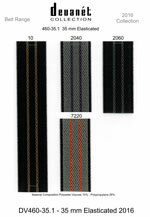 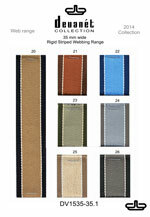 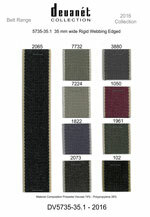 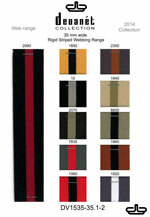 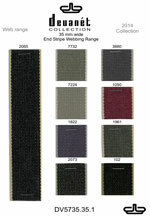 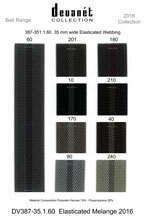 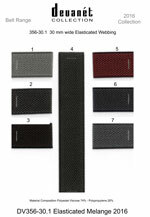 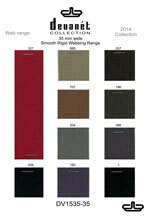 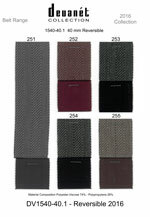 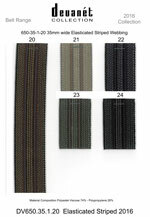 If you have a request for your own woven striped webbing please contact the sales office In Congleton.